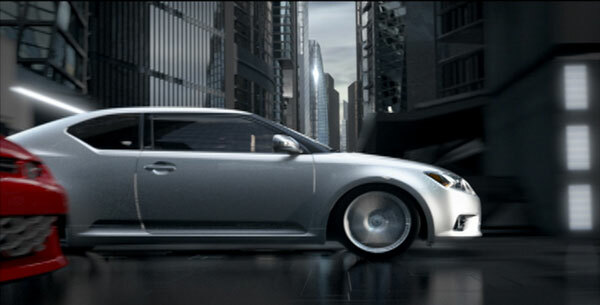 Frame from Scion tC Enter the Machine campaign TV spot. Image courtesy of ATTIK. Alongside Hollis and Scion’s marketing team, Needham and his Attik colleagues developed the creative for the campaign, then produced the key print, online and out-of-home executions in-house, while working with other industry leaders in developing additional campaign assets. For the 15-second TV spot entitled “Enter the Machine”, ATTIK partnered with its frequent collaborator, design and production company Imaginary Forces, as well as animation, digital effects, and design company SWAY Studio, among others. Imaginary Forces had successfully presented a deck of beautiful cityscapes full of light and texture, and designed the mechanism behind how the city comes alive to block the path of the cars, which won the Attik team over. Needham directed the live action and CG sequences, while Imaginary Forces designed the look-and-feel of the city, supervising the construction of that world at Sway. 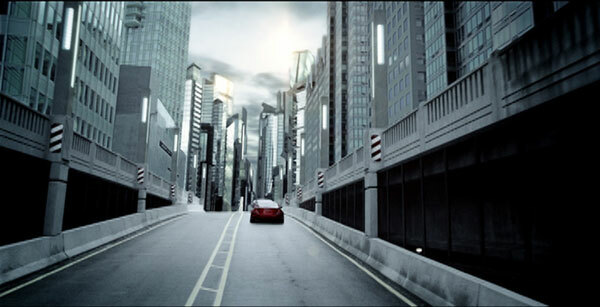 Sway’s expertise with photoreal cars and driving simulation allowed an incredible level of realism during the dangerous journey through “Machine City.” The campaign was edited by Imaginary Forces, working closely with Attik and Sway’s pre-vis team. 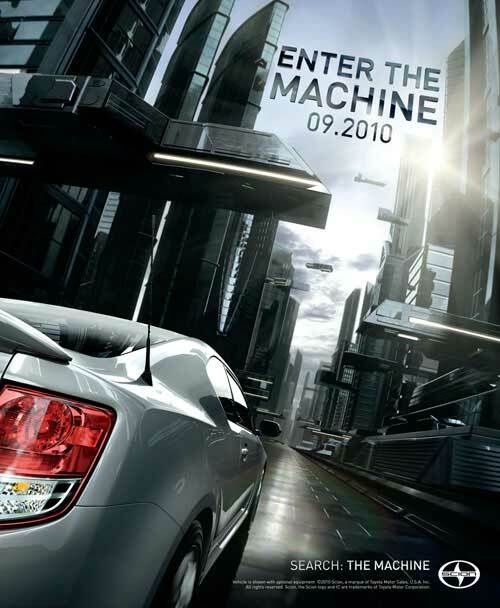 Print ad from Scion tC Enter the Machine campaign. Image courtesy of ATTIK. Along with the other campaign elements, a search engine keyword buy for the term “the machine” will also drive traffic into the campaign’s target website at www.TakeOntheMachine.com. 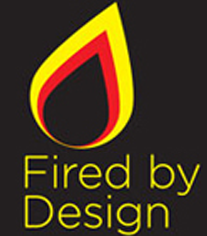 The site was developed by LA-based …and company, featuring hosted assets created by Attik. Interactive ad from Scion tC Enter the Machine campaign. Image courtesy of ATTIK.